The first villain to menace CBS’ upcoming “Supergirl” has been revealed as TVLine reports Melissa Benoist’s Kara Zor-El will face off against the obscure DC Comics character Lumberjack in the pilot episode of the upcoming CBS series. 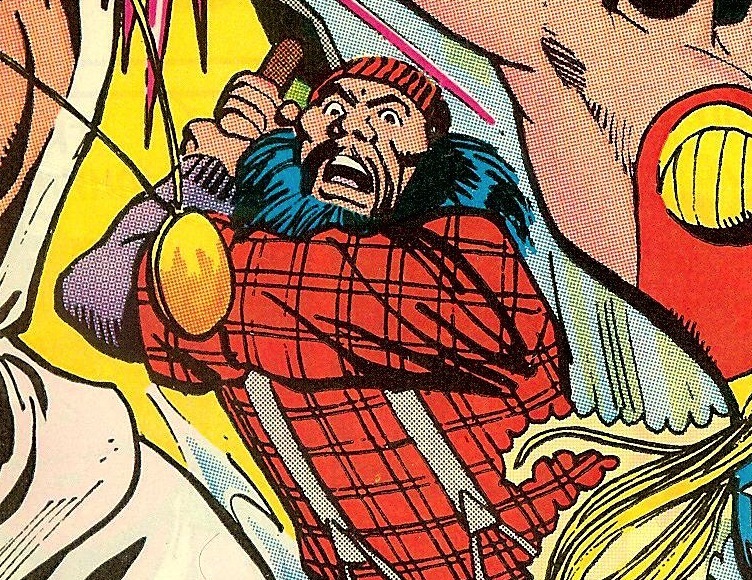 Lumberjack, created in 1980 by Gerry Conway and Jose Delbo, made his sole comic book appearance in “Wonder Woman” #268 as part of a trio of international super-assassins (which also included one-off appearances from foes called Red Fang and Changeling). According to the outlet, Lumberjack will be an established villain in the series’ continuity who has previously faced off against Kara’s cousin, Superman. In the episode, he’s been hired by an unknown big bad to ascertain the precise extent of Kara’s abilities. The news follows word from earlier this week that “True Blood” star Mehcad Brooks will be joining the series as Jimmy Olsen.